Branch Technology CEO Platt Boyd sits in front of the world's largest freeform 3D printer inside the Chattanooga-Hamilton County INCubator on Cherokee Blvd. This story was updated April 17, 2018, at 9:07 p.m. with more information. Platt Boyd walked away from a 19-year architectural career in Alabama to start Branch Technology four years ago with the dream of using modern 3-D printers to bring the type of cellular fabrication seen in nature to man-made buildings. 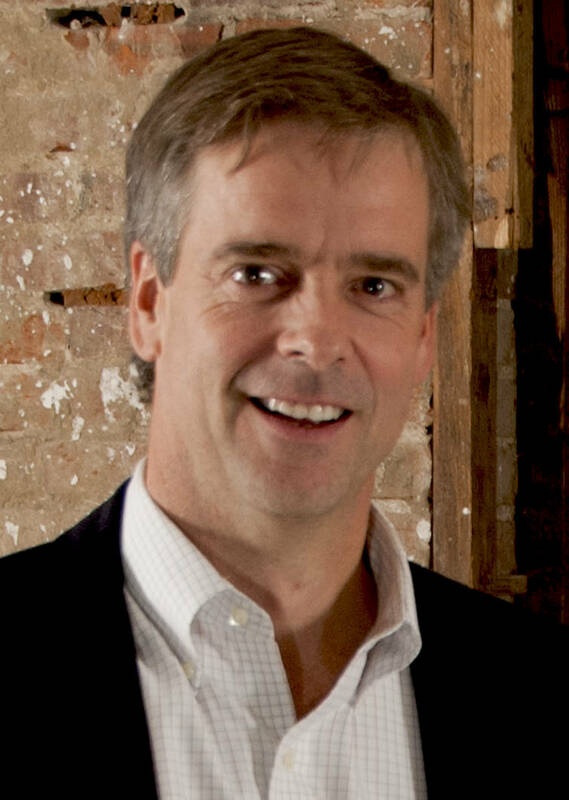 Boyd, the 43-year-old CEO of one of Chattanooga's most promising tech startups, credits the company's growth and success, at least in part, to being able to tap into the county's largest seed fund and research assistance available from the federal government. The Small Business Innovation Research (SBIR) and Small Business Technology Transfer (STTR) programs award more than $2.5 billion a year to small businesses to help encourage innovative ideas and diversify research development for a host of federal agencies. Branch Technologies, which now operates the largest free-form 3-D printer in the world at its office and research space in Chattanooga's small business development center, landed an initial $150,000 initial grant in June 2015 and a $750,000 phase 2 grant a year later from the National Science Foundation to develop its 3-D printing and innovative design systems. "It was incredibly helpful in getting us started," Platt said Monday during a conference in Chattanooga for similar small businesses trying to secure federal research, grants and contracts. Branch Technology is eager for more such assistance and business so it was among 117 companies that met in one-on-one sessions with representatives from 11 major federal agencies who came to Chattanooga's Edney Center for Innovation Monday for one of only a few such SBIR road shows the federal government offers each year. Edsel Brown Jr., assistant director for the Small Business Administration's Office of Technology, called the SBIR and STTR programs "the best kept secrets in government" and is working hard to get the word out to small businesses, especially those owned by women and minorities. On Monday, 11 federal agencies, ranging from the military to health sciences, were meeting with prospective grant and contract recipients to explain how entrepreneurs and small business owners can tap into Uncle Sam's research and purchasing programs. "These people get a whole taste of the federal government today as well as local resources that are available," Brown said. "Our purpose in these road shows is to let people know what is available and how they can tap into it, and to get more proposals for each of these programs. Those that get funding not only secure important startup funds to grow their businesses; they also get a stamp of approval to help them secure other private investments and contracts." Federal agencies and departments that spend more than $100 million a year in research and development must set aside at least 3.2 percent of their R&D budget for the SBIR program for small businesses. Tennessee sweetened the incentives two years ago for small businesses in the Volunteer State to seek the federal research grants and contracts by budgeting $1.5 million to offer a 25 percent state match to Tennessee companies successful in landing such federal grants. "Tennessee is one of the headliner states for these matching funds and that makes a huge difference," Brown said, noting that Tennessee not only matches SBIR funds but also offers the fastest high-speed internet service in Chattanooga's "Gig City" and is starting to promote more R&D transfer from the Oak Ridge National Laboratory..
Charlie Brock, the president of LaunchTN which sponsored Monday's road show in Chattanooga, said the federal program dovetails with the state's innovative accelerator and startup assistance programs conducted by The Company Lab in Chattanooga and a handful of other business accelerator programs across Tennessee. "Tennessee is a rising state," said Brock, who is working to develop a strategic plan to take LaunchTN in the next gubernatorial term to continue to nurture small business and technology growth. A study released Monday by ACT/The App Association highlights the potential of just developing computer apps for the digital economy. Although Silicon Valley leads the nation in Internet and app businesses, Tennessee has more than 61,000 persons employed as app developers, computer programmers, engineers, and teachers and the state's app economy employment is projected to grow another 7.44 percent by 2024. On average, Tennessee's app economy jobs pay salaries upwards of $79,536, well above the state's annual average. But a barrier to the growth of the app economy, both in Tennessee and the United States as a whole, is the growing skills gap for needed workers. For every eight available computing jobs, the U.S. produces just one computer science graduate.Last year, Tennessee awarded 750 computer science degrees - a fraction of what's needed to fill the state's 6,078 available computing jobs. Additionally, more than 9.2 percent of Tennessee's population, and nearly a quarter of the rural population, lacks broadband connectivity, cutting off potential contributors and beneficiaries from the local app economy. Correction: The acronym for Small Business Technology Transfer was incorrectly listed as SBTT in a previous version of this story. The correct acronym is STTR.